Barry Thornton is based in the northern suburbs of Johannesburg, South Africa. I (Alex) used to trade with Barry when we were much younger and he has authorized a number of courses for Expert4x over the years. The long candle and WATO course are examples. 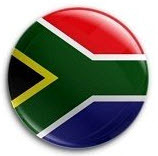 South Africa has a tax year that ends at the end of February and he confirmed that his taxable income from Forex trading is yet again well over one million US dollars for this February 2015 tax year. He is an old school manual trader and uses a small team of traders to trade for him. He trains them for a month or so and then if they make the grade, they trade his money for him under his supervision in his home / trading room keeping 30% of all profits made. Some have been with him for over 9 years now and are independently wealthy and about to retire. His systems have not changed much over the last 12 years since he started. Except for 2 years his taxable earnings were well over one million since he started. His systems are described in our early Expert4x courses. The easy to trade techniques mainly based on the RSI, moving average and basic support and resistance, are difficult, if not impossible to automate into an Expert Advisor as he is an “in the moment” trader that takes the dynamics of what is happening right now into account. Although the techniques are simple they are difficult to teach and often subjective. He has an uncanny feel for the strength and weaknesses of currencies and knows the market intimately from moment to moment when trading. Without knowing it he takes a wide range factors into account when considering a trade. He scalps and swing trades using the same technique. He has basic processes in place which make his Forex trading profitable on a very consistent basis. Only 1 losing month in the last 130. An old school, common sense, sharp, manual trader that is still incredibly successful. A very private and down to earth individual. For more about his technique and his trading psychology read the rest of his course. Would it be possible to contact Mr. Thornton directly? Also, how does one become a member of his small team of traders? I would love the opportunity to learn directly from Mr. Thornton by working with him as a member of his team.